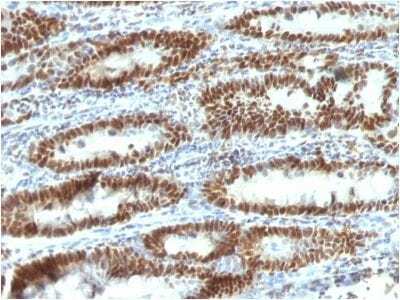 This antibody recognizes a 63 kDa protein, which is identified as TOX3. SH-SY5Y, MDA-MB-435 cells. Brain or breast or gastric Carcinoma. 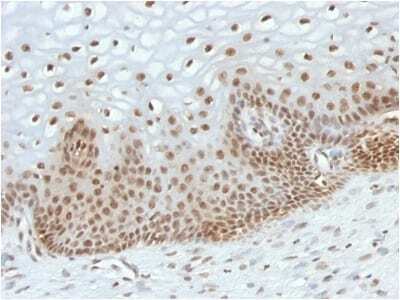 This antibody recognizes a 63 kDa protein, which is identified as TOX3. 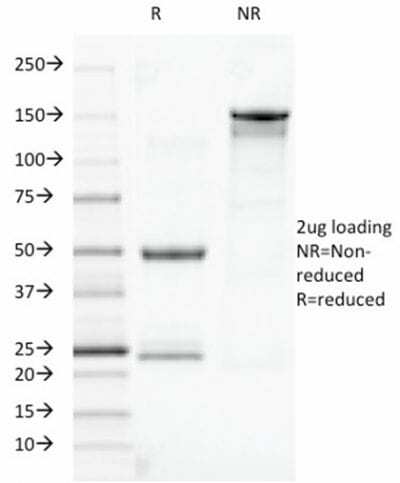 It contains a high mobility group (HMG)-box, which regulates calcium-dependent transcription in neurons through interaction with the cAMP-response-element-binding protein (CREB). TOX3 appears to be associated with breast cancer susceptibility and is expressed downstream of a cytoprotective cascade together with CITED1, a transcriptional regulator that does not bind directly to DNA. TOX3 is predominantly expressed in the brain and forms homodimers. TOX3 overexpression protects neuronal cells from cell death caused by endoplasmic reticulum stress or BAX overexpression through the induction of anti-apoptotic transcripts and repression of pro-apoptotic transcripts. 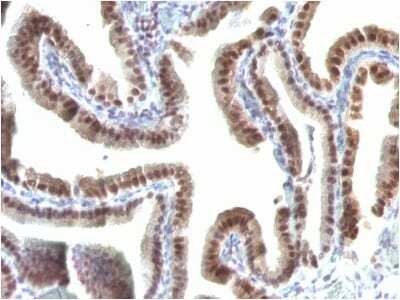 Catalog number key for antibody number 1123, Anti-TOX3 (TOX3/1123) The prefix indicates conjugation, followed by the antibody number and size suffix.